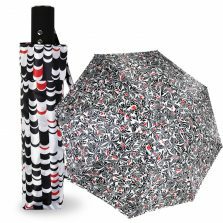 Womens designer umbrellas cannot be better summed up than the sensationally stylish VOGUE Girona – available in 3 striking designs. 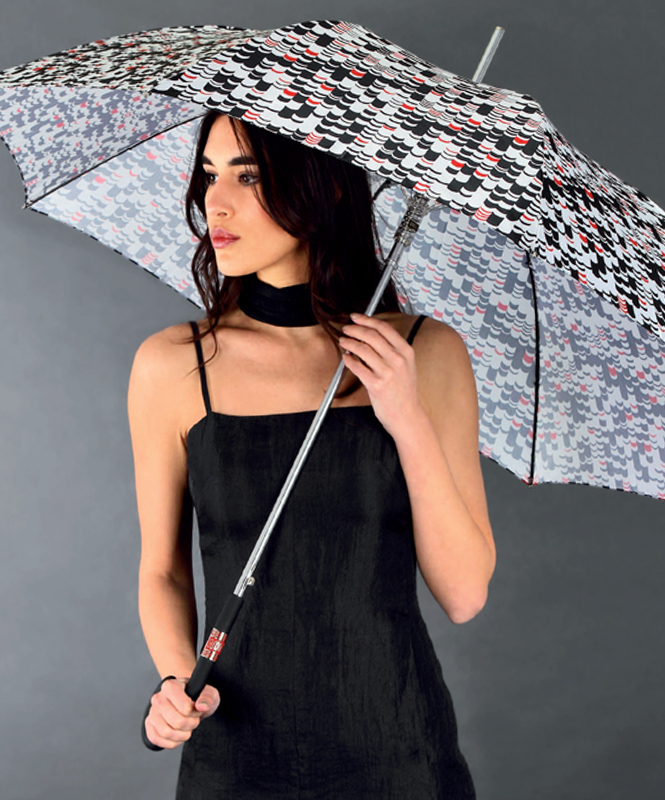 Introducing these exquisite womens designer umbrellas from our exclusive VOGUE range! Available in 3 different designs. 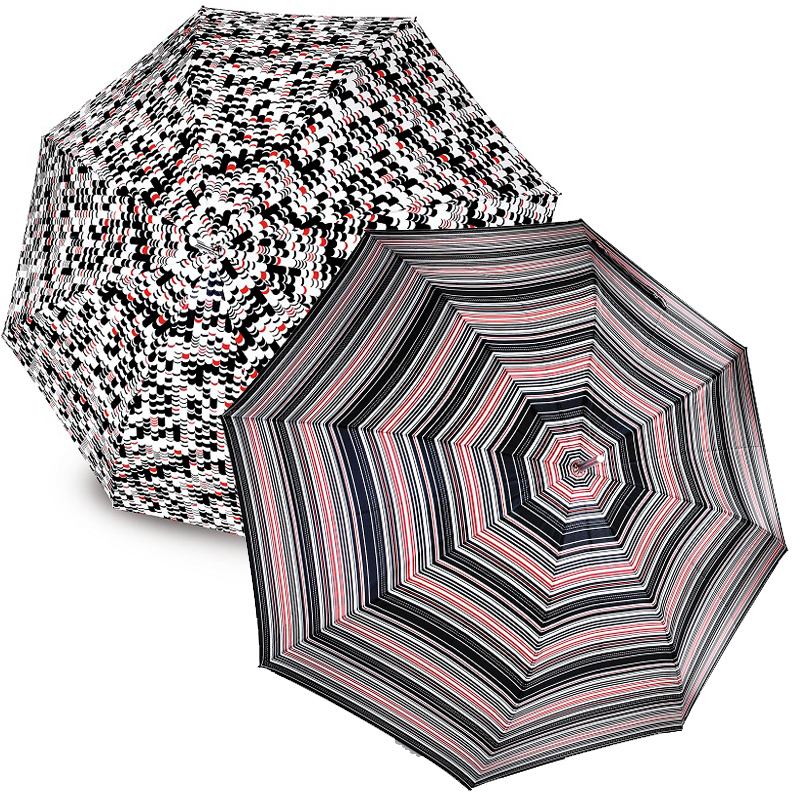 These sensationally stylish Girona umbrellas look so good, you may well want to own all 3 of them! 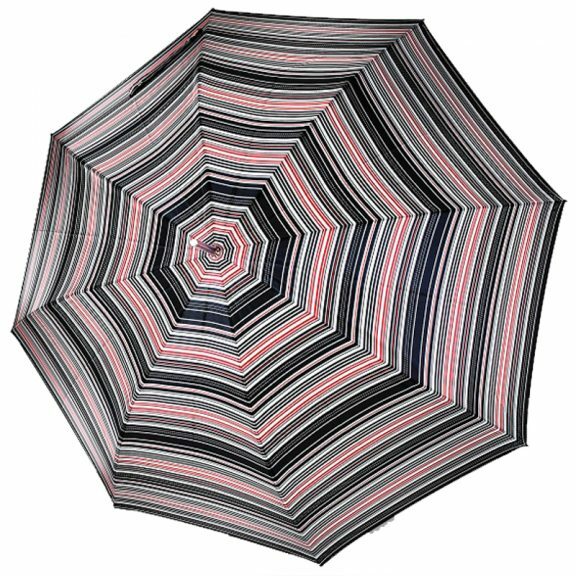 Each unique design has a luxurious satin-effect, 8 panelled, Teflon coated canopy. 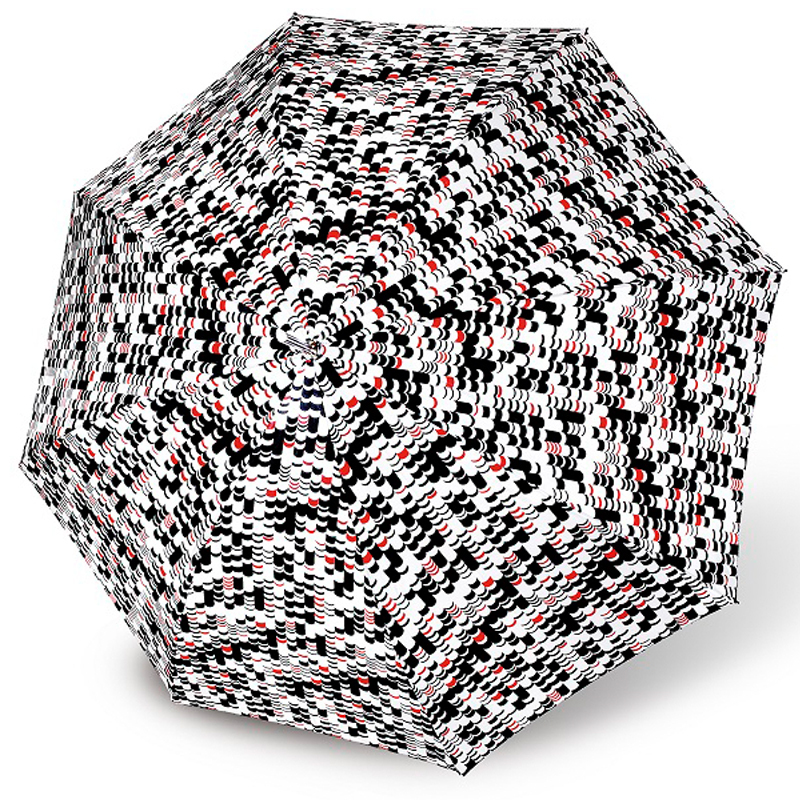 This coating protects the fabric of the canopy keeping it looking as good as new. Watch the raindrops just “bead” and roll off. 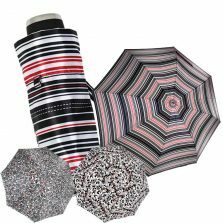 These auto-open ladies designer umbrellas have an ample span of 112 cm. That’s large enough for both you and possibly a friend. The tie wrap on the Girona umbrellas is also very special. Made from matching fabric, a beautiful enamelled branded press stud is just typical of those little finishing touches one comes to expect from VOGUE. 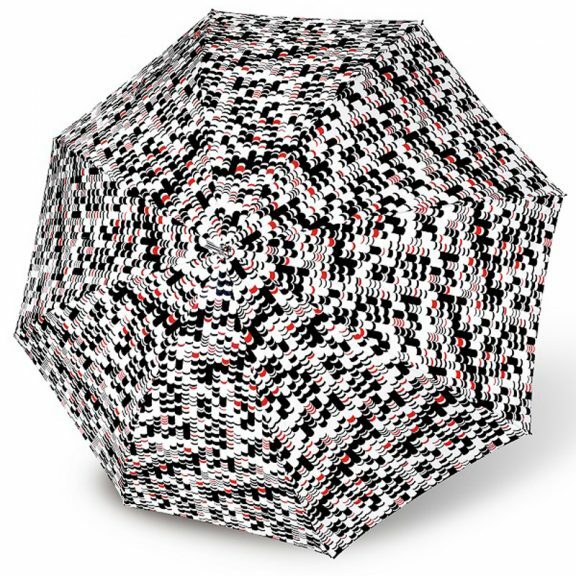 Not only that, but these Girona womens designer umbrellas are also rated windproof. 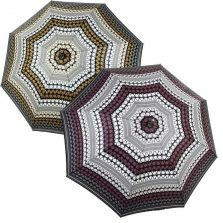 They really are everything you could ever wish for in an umbrella. 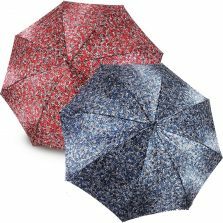 Girona designer umbrellas also have a light weight aluminium frame with flexible fibreglass ribs for extra added strength. Even the handle is in a class of it’s own. The classy smooth touch black crook handle is finished off with a VOGUE branded embossed collar. 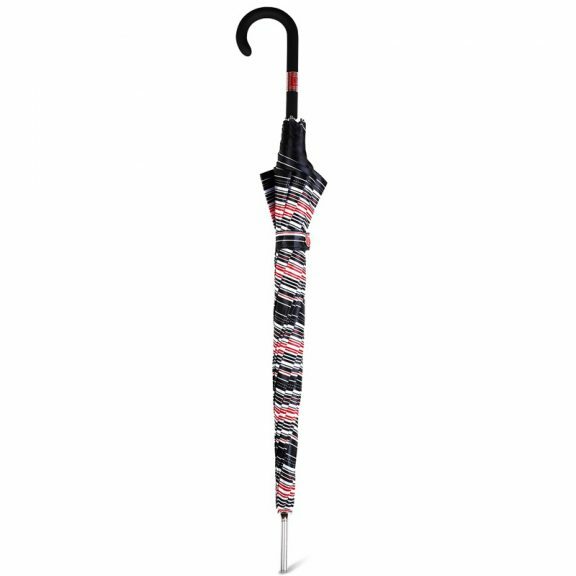 Every umbrella sports an elegant steel tip. Design 1’s canopy has lots of different width stripes going all the way around it in Black, White and Red giving it a striking contemporary look. 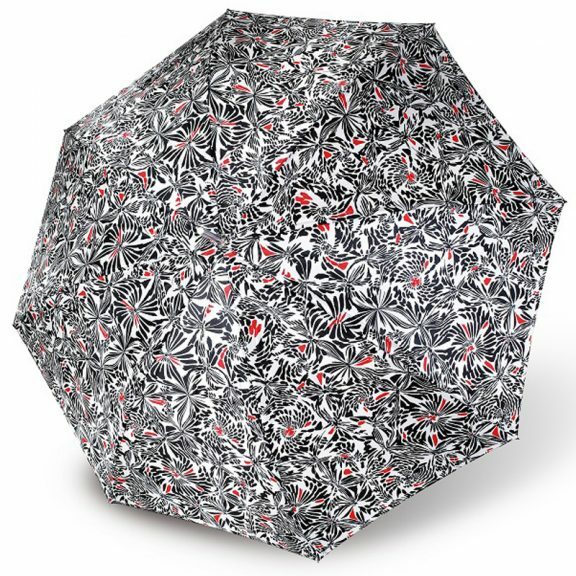 Design 2 is another contemporary abstract pattern that looks a little like Red, White and Black banded columns. Design 3 is a modern floral type design in Black and Red with a White background.